Bob had reached the pinnacle of his career in animation. He had received 5 Emmy Awards in animation in the transitional days between hand-painted animation cels and the modern digital methods. He worked under Ollie Johnson (Senior Animator) on the 3 fairies of Sleeping Beauty – Flora, Fauna and Merryweather back in the early days of animation at Disney. Bob worked on many other famous movies such as Oliver & Company, Heidi’s Song and more. His work spanned almost 40 years and he worked with and for the giants of the animation world like Hanna Barbera, Marvel, and Jim Henson on the Saturday Muppet Babies show. One day in the Fall of 1989 his boss came into Bob’s office. He casually drops a 2” thick manuscript on Bob’s desk. He says “read this and tell me what it looks like.” What that meant in the world of animation was, read this script and produce the visual development. The visual development is the look and feel of an animated movie. It can include things like what the characters look like and key scenes. Bob asked what the story was about; his boss’ reply was “I don’t really know…something like a Bambi in Africa”. The story turned out to be none other than The Lion King. He had earned the privilege of this task for a movie that has delighted a generation. 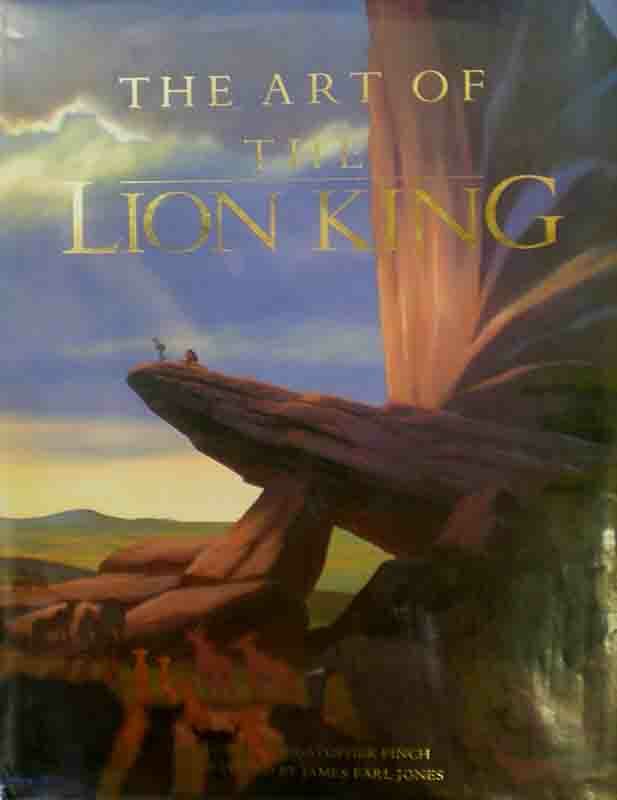 For Lion King his credits are listed in the Art Department as Visual Development; and Animation Department for character designer. 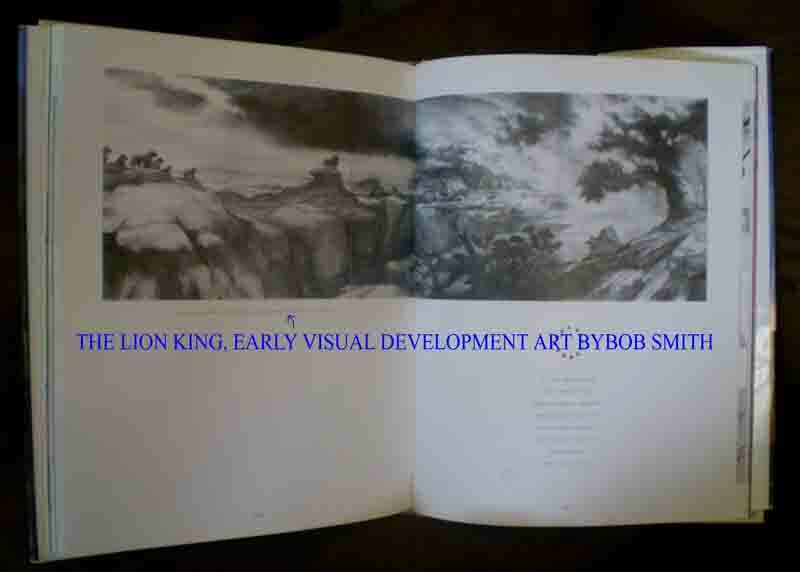 Below is the only 2-page picture in the table top book entitled The Art of The Lion King; it is the creation of Bob Smith.